The LTG Summit organizers are pleased to announce the keynote speaker for our first summit, Dr. Christine Williams. Dr. Williams is professor and chair of the Department of Sociology at the University of Texas at Austin. She writes on gender, race and class inequality in the workplace. Her most recent book, “Inside Toyland: Working, Shopping, and Social Inequality,” exposes how these forms of inequality are embedded within consumer culture through an examination of low-wage retail work. Two previous books focus specifically on gender discrimination at work. These prior works were based on studies of men and women in nontraditional (gender atypical) occupations, such as men in nursing and women in the U.S. Marine Corps. She has also studied sexuality, homophobia, and sexual harassment in a wide variety of workplace settings. A co-edited book, Gender & Sexuality in the Workplace, was published in 2010. She is currently conducting a study (with Professor Chandra Muller) on women scientists in the oil and gas industry.Williams edited the journal, Gender and Society, from 2003-06. Williams will share with us her recent research on gender and “precarious employment” in the new economy. Precarious employment refers to the lack of job security and organizational loyalty that characterizes work throughout the new economy—including work in libraries and library technology. In previous work, Williams and her co-authors noted that in the new economy “Organizations are still gendered, but the mechanisms for reproducing gender disparities are different than those in a traditional career path.” Her talk at the LTG Summit will focus on how the increasing prevalence of precarious, rather than stable, employment contributes to gender inequality and how that manifests in libraries and library technology. We are so happy Dr. Williams will be joining us and contributing to this important conversation. The LTG Summit will be March 20-21, 2014, at the AT&T Conference Center in Austin, TX. Registration is open until February 28. I recently had an interesting conversation with a colleague from another university. It was a casual talk over brunch where she was telling me about her fear of not being taken seriously by central IT at her new campus because she didn’t come from a deep technical background. As an older, white, male IT director, my head immediately shifted into my lecture on how I’ve often heard this exchange, how IT never understands, and how their default answer is always “no”. I usually stick up for the IT shop, but it never really goes anywhere because IT has pissed everyone off and are perceived to be beyond caring. But before we even got there, she said someone had suggested she bring them cookies, because geeks like cookies. 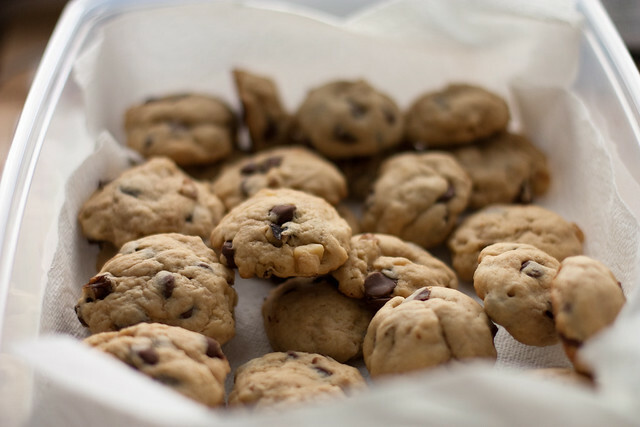 I gotta say, I’ve always been in favor of this approach, because… cookies. And as I said that, she went in another new direction with the conversation, saying that, as a woman, she never wants to be cast as the “mom” in a situation. Our mutual female friend at lunch agreed. As it happened, my 17 year old daughter was also with us, and agreed with both of them. I hadn’t really heard this “don’t be the mom” reaction before, and I argued back that it might help with a situation that needed different dynamics (the mean ol’ central IT folks always saying no being disarmed by a rush of sugar and consideration from a customer). Of course, I wasn’t listening closely enough, so as the reaction tripled across the ladies at the table, I backed off and heard more. “I can see bringing in food to your employees, but why should I feed a peer?” was the reaction from my library friends. “As soon as I started feeding my friends, they stopped seeing me as one of the crowd and I became more of a Mom,” was my daughter’s thought. In my eyes, a plate of cookies is such a nice thing to do that I couldn’t see anything wrong with it. Ok, that’s a whole mishmash of stuff with no real resolution, but I wanted to get it down before I forgot it. I enjoyed being made to stop and listen and understand another perspective. I enjoyed seeing the synergy that two library professionals and my daughter tuned into because of the way their gender is cast. I enjoyed trying to better characterize the role and reactions that IT gets cast into, and why it all becomes so negative. I also enjoyed hearing a perspective that I didn’t anticipate because my biases are so active in the background of my mind. I don’t think I have a fix but I can continue trying to understand my biases and keep listening.